Content Marketing continues to grow and now it is used by prominent businesses throughout the world. Here are some Content marketing trends to look for in 2017 and beyond. Native Advertising is a very hot topic in digital media right now. Native Ads perform better than traditional displays especially on mobile devices. Native Ads are a form of advertising meant to blend into the page as regular content. According to surveys, consumers generally have a positive attitude towards this type of advertising. This has caught the attention of businesses and marketers, the result being a huge spike in Native Advertising Revenue over the last few years and expected growth in 2017 and beyond. Live Streaming marketing is also growing; this has become an effective way to move people to action and has the potential of having a great return on your investment (ROI). Live streaming is expected to gain popularity in the next few years because of the potential ROI and the limitless marketing possibilities. You can Stream live events, consumer interaction events, to behind the scenes of how a product is made or a service being done like food being prepared to construction projects. If done right it can be an easy way to move people to action, sell your products, services and market your brand. Virtual Reality Marketing; It is expected to be a 30-billion-dollar market by 2020. It’s an easy way to create stories that resonate with your consumer audience. Virtual reality gives the person a feeling of interaction and personalized communication, which is what consumers are looking for now. Other marketing trends to look for: Expect a rise in email newsletters and growth in influencer marketing. Influencer marketing do be done right, would include a meticulously planned public relations campaign and the proper research to make sure your marketing products are reaching the right influencer/s. With marketing being difficult and complicated now, the future only promises that it will become even more complicated and sophisticated. With that said, it will also provide businesses and marketers more opportunities and the potential for more success. Therefore, it is so important for your business to hire a marketing company that understands new age marketing, the growing trends, one that stays on top of the newest marketing technologies and methods. Most likely if you have a business to run you do not have the time to spend to come up with a long-term marketing plan let alone stay on top of all the marketing data and trends. 219 Group is a full-service marketing company with a creative team that does all this and more. 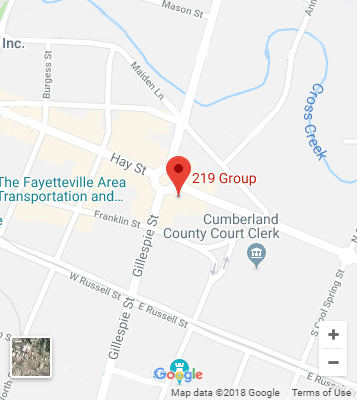 At 219 Group, marketing is our business and we’re great at it!